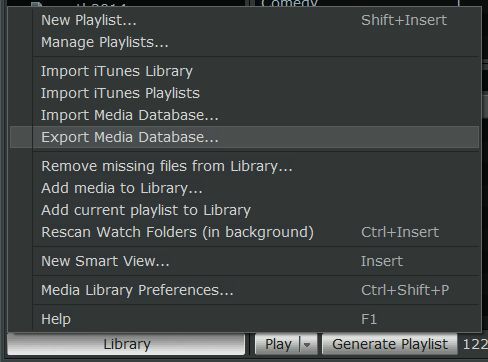 In a previous post I helped you to switch your music library from iTunes to Winamp, without losing any metadata (such as last play date, play count, rating…). Now Winamp has stopped releasing new versions, some might want to switch back sooner or later. I’ve made the switch as a kind of experiment to see whether it would be possible to keep (the most valuable metadata). iTunes won’t be able to please me in the near future, but as time goes by, it might be the only easy way to sync with my old iPod Classic and iPad. 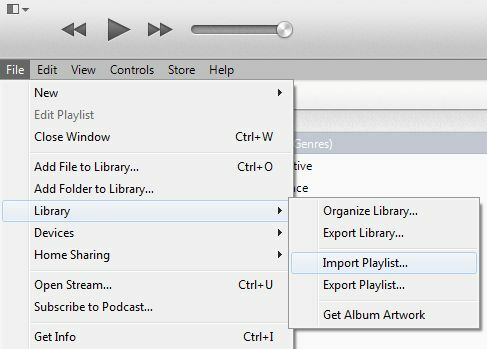 It will please you to hear that moving the library back to iTunes is less complicated than the reverse option. The default view has a button called ‘library’ at the bottom of the left column (media library column). Click, and choose ‘export media database’. This will create an iTunes XML library database. If you have lots of media files, this will take some time.